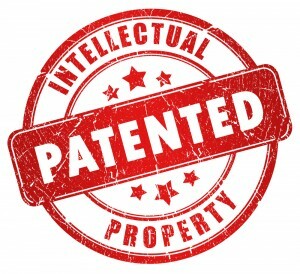 The United States retained its lead as the world’s most inventive country in 2013, accounting for 27.9 percent of all international patent applications, according to the World Intellectual Property Organization, which tracks patent applications in 148 nations. But China is closing fast, with a 15.6 percent increase in its applications, compared with the United States’ increase of 10.8 percent, the organization reported. The U.S. total was boosted by U.S. universities, which occupied nine of the top 10 positions in filing by education institutions. “I think it’s an indicator of the restart of the American economic engine, with technology and innovation as the driver of that engine,” Francis Gurry, director-general of the World Intellectual Property Organization, told McClatchy. A record 205,300 international patent applications were filed under the organization’s Patent Cooperation treaty, the global accord that allows inventors and industry to obtain patent protection in multiple countries. The United States accounted for 57,239 filings. Japan was No. 2, with 43,918. But that was up a mere 0.6 percent, while China pushed into the No. 3 position with 21,516 applications, surpassing Germany. tions and pharmaceuticals, 4 percent. While the United States accounted for the most patent applications, the single largest individual filer was a Japanese company, Panasonic Corp., which filed for protection on 2,881 inventions or innovations. China’s ZTE Corp. was No. 2, with 2,309. The U.S. corporation with the most applications was San Diego-based Qualcomm Inc., which, with 2,036 applications, ranked fourth in the world, followed by Intel Corp., based in Santa Clara, Calif., at No. 5, with 1,852. Among American universities, the report showed the University of California system with 398 applications, followed by the Massachusetts Institute of Technology with 217, Columbia University with 133, the University of Texas system with 119, and Harvard University, also with 119. In all, 31 U.S. universities were ranked in the top 50. These included 10th-place California Institute of Technology, with 90 filings; 30th-ranked University of Washington, with 50 filings; and 46th-ranked University of North Carolina, with 38 filings.The only non-U.S. educational institution in the coveted top 10 rankings was the Korea Advanced Institute of Science and Technology, which was ranked seventh with 105 filings. The ranking “reflects the strength of the American university system and is an indication of the enterprise of that system,” Gurry said. James Pooley, an American who is the World Intellectual Property Organization’s deputy director-general for patents, credited a law passed by Congress about 30 years ago with spurring innovation at U.S. universities. Under the legislation, the Bayh-Dole Act, U.S. universities can apply for patents on government-funded research as long as the U.S. government doesn’t assert rights over the invention. That’s helped spur greater spending on research and development, whose spending level in the United States is nearly 2.8 percent of the country’s gross domestic product, according to the Paris-based Organization for Economic Cooperation and Development. For comparison, China spent 1.98 percent of GDP on research and development in 2012 while the European Union spent 1.97 percent of GDP. The United States by far is the No. 1 recipient of royalty and licensing fees from patents and copyrights. Including sound recordings and movies, U.S. businesses took in more than $124 billion in royalties and licensing fees in 2012, according to the U.N. Conference on Trade and Development. No. 2 the Netherlands took in $29.6 billion.